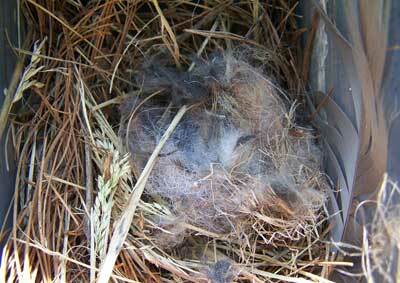 This nest is in a Gilwood box at my trail at the closed landfill. It was almost complete but had no eggs the last two weeks when I monitored. The box is on a patch of lawn, along the entrance to the Transfer Station, near a wooded area. 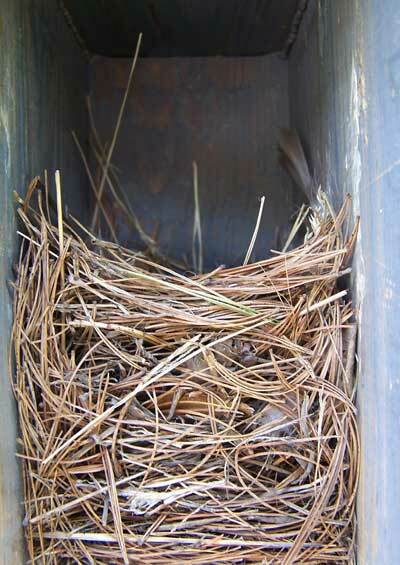 This is what the top of the nest looked like. Can you guess who is nesting in this box now? Click on this link to see the answer. Click on this link to see other nests made by this same species.